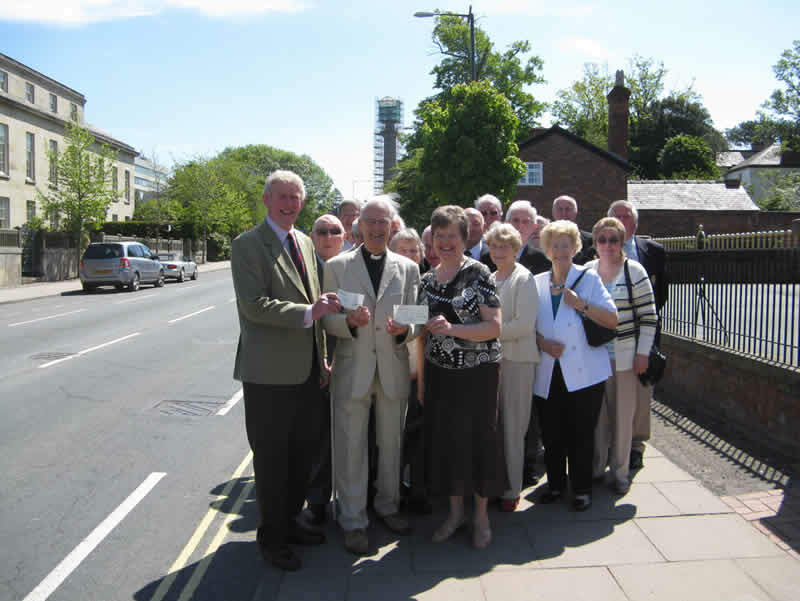 On Saturday 17 May The Friends of Lord Hill’s Column received two generous donations of £100 each from two Shropshire organisations – The Shrewsbury Society of St George and the Coldstream Guards Association – Shropshire Branch. 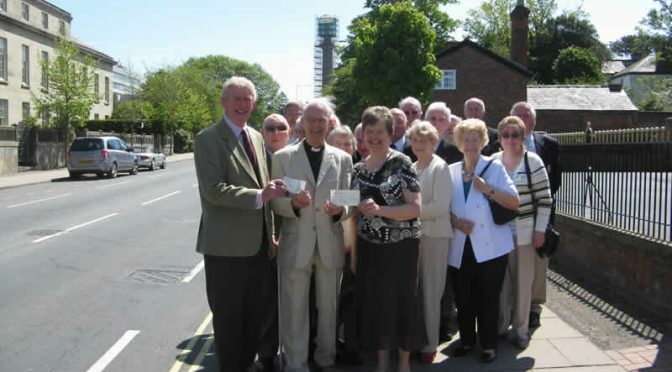 Both groups made their donations because they value the Column as a part of the rich heritage of Shropshire and want to see it well-maintained for future generations to enjoy. It wd be helpful to be told early on where this column is, other t Han somewhere in Salop. You all know , which is nice , but other less enlightened souls need some help esp if you want our cash. Alison I am so sorry for my late reply, I am quite new to this website management and we seem to get so much spam about hand bags it becomes difficult to see the wood for the trees. The Column is sited in Shrewsbury in an area called the Column. I posted a map with the Heritage day event, I will check to see if it is usable. We are opening the column for Heritage Open Days 11th to 14th September 2014, but just about all slots to climb the 172 steps are now filled. There is still space on Thursday and Friday if you are interested. We intend to open the Column again very soon, so I will keep you posted for dates.